Catch My Words: #WW: Can You Relate? Friday is our last day of school. I'm ready for summer, is an understatement. Many of your comments tell me that you're not relating. I AM THE OWL ON THE RIGHT. I enjoyed your kids all year long, and it is now YOUR turn. Mine are grown. Summer means VACATION. As you struggle with your one, two, or three, think of me with a room full. 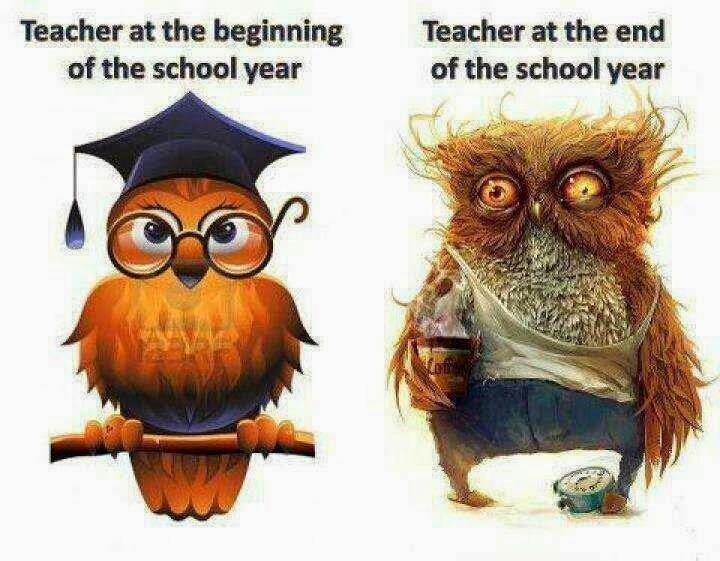 That is how I feel by the end of the summer vacation. Robin stole my words. I love my kiddo's but I am dreading the 11th rolling around when they get out for the summer! Well at least you're still standing! Marie Moody - I've been keeping them busy all year long! That's why I look like the second owl. Now, it's the parents' turn to keep them. As for my own, I dun 'ere raised 'em up! It's vacation time! hehehehe yourself. this just makes me so incredibly thankful that I still have over a month to go before the little darlings are home. Former teacher here. I can relate. Summer vacation is right around the corner. Stay strong. I feel this way as a mother! Enjoy every minute of your summer vacation! I cant believe the another school year is almost over. When all my girls were in school, i felt the same way. Even though I was just a parent. I love the kids home, woooooooot! And yep, teachers deserve a summer break, and a medal (or twenty), and might as well throw tons of money in there too (since it should be one of the highest paid professions). I'll stop now. 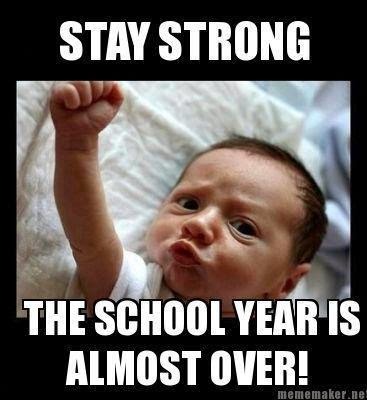 :) Enjoy your summer break! But some of us are stupid enough to work the full summer school-lol. Where I teach we end next week, have a week off and then on for nine weeks. I guess I am dumb. Since i used to home school, i agree with you, you've earned the vacation! My boys last day is tomorrow and as a former teacher I always tell them that the teachers are probably more excited than they are!!! Here we still have a few more days, but it sure is coming up fast.